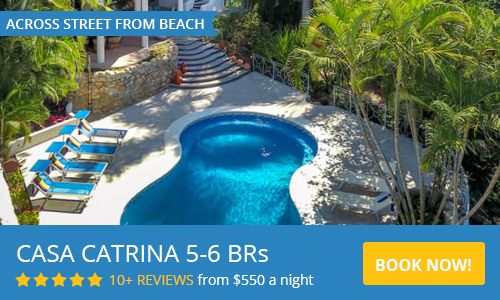 PALMA - Architectural and interior design in Sayulita offers reliable construction and design services and is prepared to fulfill your vision of the perfect home, project or development. From the design stages to final completion, we are here for you and bring our passion to every project, large or small. Our award winning firm is geared towards finding integrated and individual solutions to each architectural situation. We have a responsibility to our clients to listen to their requirements and manifest them through truly memorable spaces. Our approach is based on an analysis of the immediate natural and cultural context, developing a design process which is open to exploration. The result is a constant search toward an architecture of atmospheres which move people and truly belong to their site. Although relatively new to Sayulita, we have formed a reliable, local construction team and completed the design and execution of the Achara Thai restaurant downtown. We are also set for completion of a residential project mid-2018 and are working on 2 more residential projects currently in the design stage. In addition to our current projects in Sayulita the office was shortlisted in the LIGA competition as well as the Arquine Pavilion competition, in 2016. In 2017, PALMA was awarded the 1st prize in the “Juguetes Urbanos” open-call by Laboratorio para la Ciudad and the Mexico City government. We were 1 of the 5 finalists selected to submit a proposal for the “Feria Internacional de las Culturas Amigas”, a yearly international fair held in Mexico City’s Zócalo, the country’s most important public square. Contact us with any questions and for a quote. We are looking forward to designing, constructing and developing your Sayulita's project. Regina, Isle, Diego and Juan Luis from Palma have made a fantastic architectural design presentation to us for a second-floor addition. The designs included some unexpected thinking addressing all our needs. Through the process, they have quickly solved any of our concerns while maintaining the integrity of our vision. They have been a pleasure to work with: professional, collaborative, communicative and delivering on their promises. Highly recommend. Juan Luis was very responsive to our needs and did an excellent job creative the space we wanted. Hi! I am Juan Luis Rivera. Together with Ilse Cárdenas, Regina De Hoyos, and Diego Escamilla, we are the founders of PALMA an award winning Architecture and Interior Design firm. We all studied at the UNAM School of Architecture and are currently based in beautiful Sayulita as well as Mexico City. We are looking forward to designing, constructing and developing your dream project.